I’m at Andrew Jackson Middle School today with Media Specialist Connie Horton in Kershaw SC near Lancaster. Last night her principal Butch Dutton picked me up in Charlotte NC and drove me south to an Inn in Lancaster. (Inn in? I’ve always wondered what the difference is between an Inn and a hotel…”Hotel in” reads better than “Inn in” and this Inn looks a lot like a hotel). Butch is a great guy…former biology teacher. We had a lot to talk about during the hour drive south. And Connie is a dream to work with. Every detail of the visit was perfect. 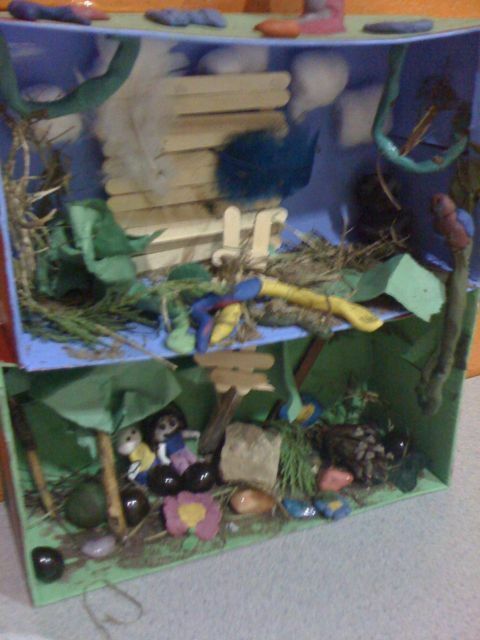 Before I did my presentations each grade level did a presentation for me, which was great fun. 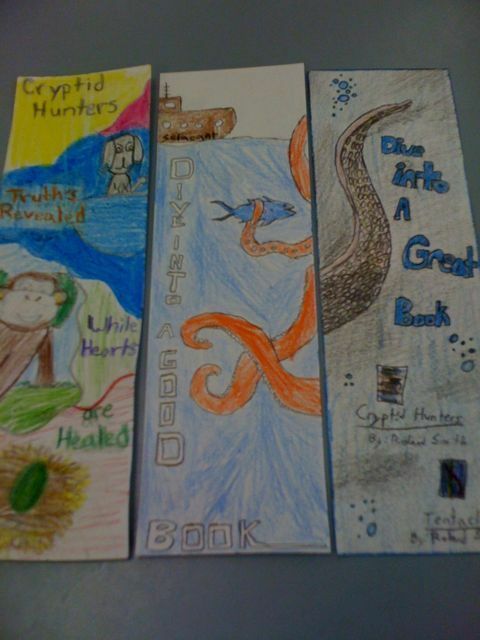 The students all read Cryptid Hunters and many of them have already finished the sequel Tentacles. The 8th grade put together a couple of videos about the books. The “entire” 7th grade participated in a fantastic Reader’s Theater about Tentacles. 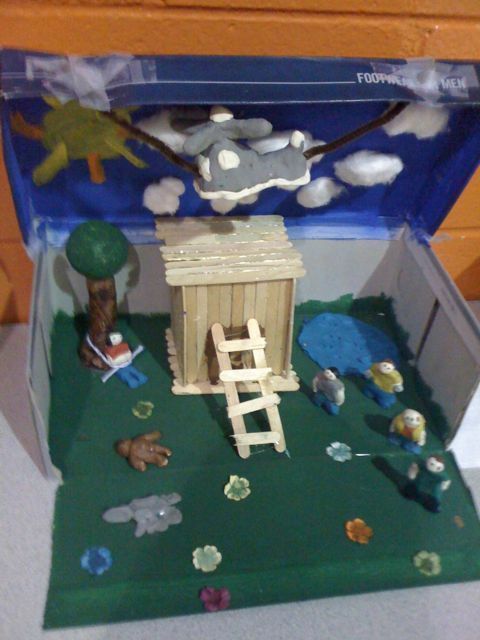 And the 6th grade did dioramas and posters about Cryptid Hunters. 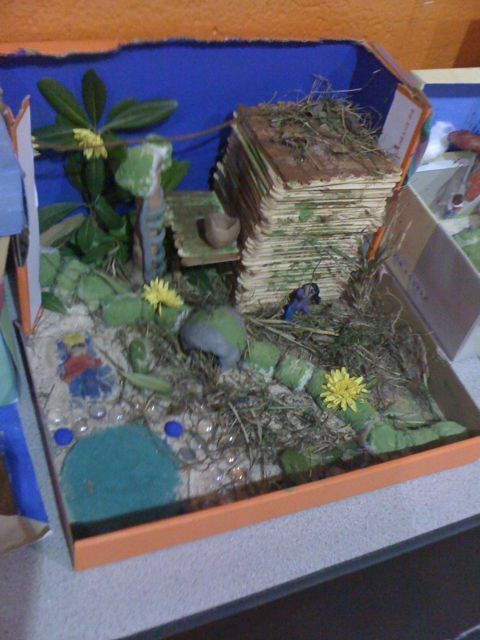 They also had a bookmark contest (the top three are shown below along with just a couple of the great dioramas…I wish I could show them all). Thank you for making this such a special day for me! The students and teachers at AJMS loved having you visit our school! I have had so much positive feedback! It was a great experience for all of us! I know that many have been encouraged to write more and read more!